When considering or looking for the best desk reading light; the Archimoon K Table Lamp from Flos deserves a second look. Flos's Archimoon K Table Lamp is a great alternative to the clean-cut Artemide Tolomeo and today's monotone LED-desk lamps; the Archimoon K has perhaps a little bit more panache. Charles and Ray once said that “The details are not the details. 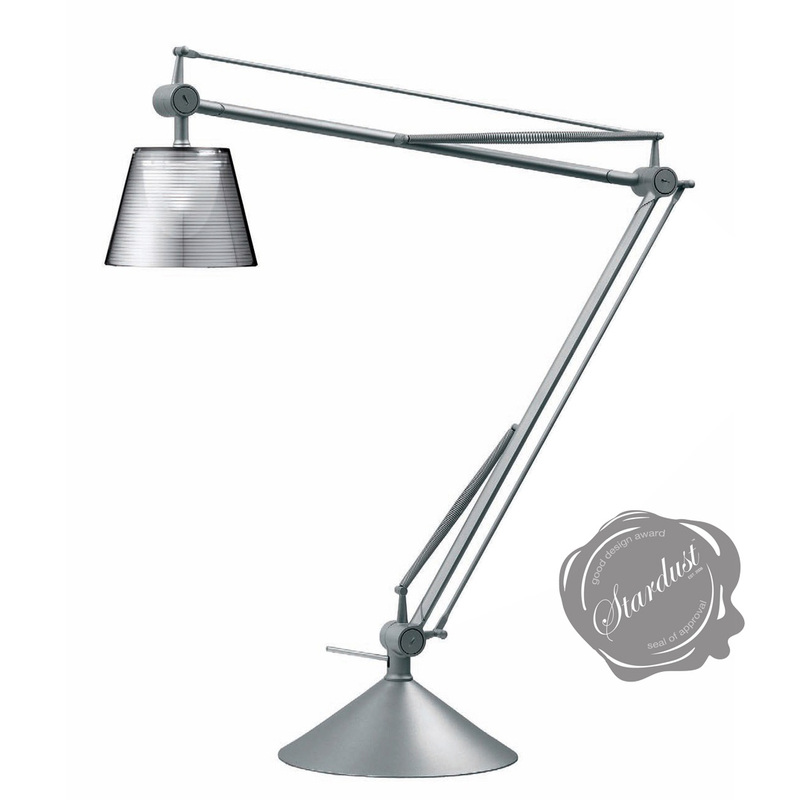 They make the design” and that certainly holds true for the Archimoon K. This Illustrous desk lamp by legendary designer Philippe Starck adds some definite pizzazz to a desk or bedside table. 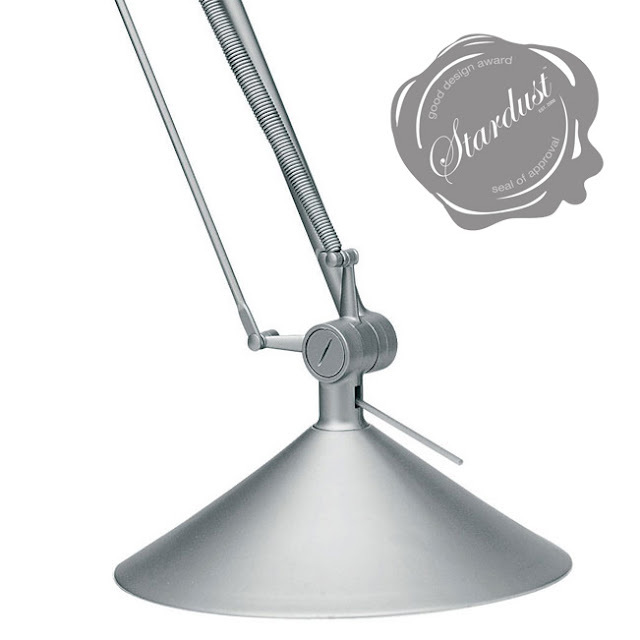 One of the great advantages of this desk lamp is that it provides the best of direct and diffused lighting with a fully-articulating aluminum arm. This allows you to direct the light source wherever it is needed. Another feature we like in this desk lamp is the fact that it uses a 40W G9 Frosted Halogen light source which is easy on the eyes; at least in our opinion. 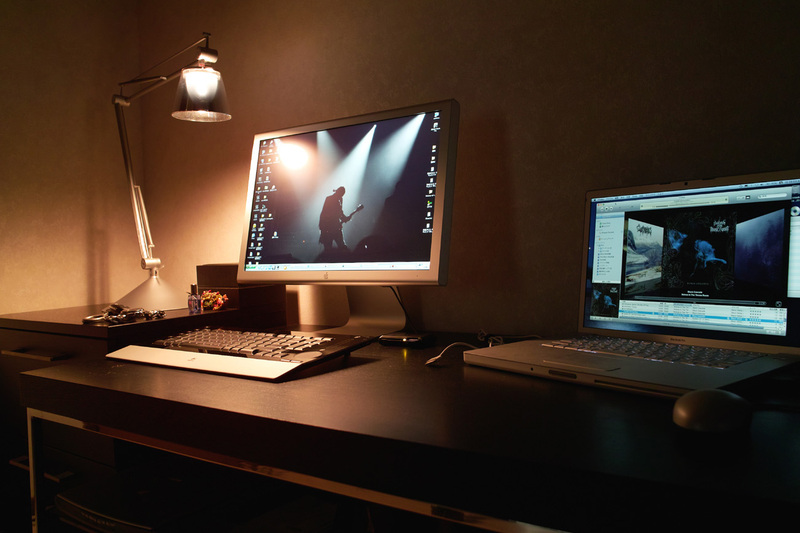 We know everyone is pushing LED and CFL these days but the Stardust Staff still prefers a good old fashioned halogen or incandescent lamp when it comes to task lighting. But please don't hold that against us; that is just our take on the whole light bulb debacle. The Archimoon K table lamp, designed by Philippe Starck for Flos in Italy, is a suitable reading light for the business or the home office environment. It is also an excellent reading lamp when used as a bedroom reading light or when placed on a coffee table in the living room. Archimoon K has a functional on/off switch located on the base. 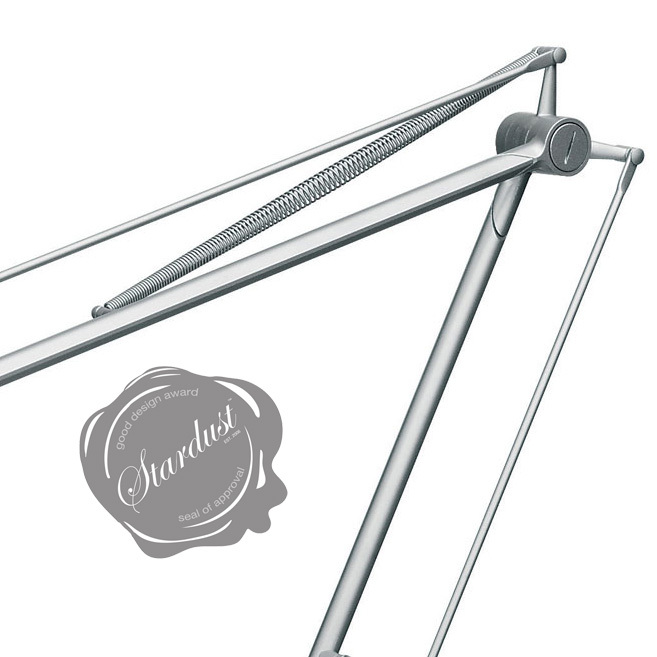 Light is adjusted by positioning the fully articulating silver aluminum arm with heat tempered springs balanced to provide parallel arm motion. A lead-weighted die-cast Zamak base provides stability. Archimoon K is also available with different options including table clamp or wall arm mounted. UL listed, perfect for both residential- and commercial applications. 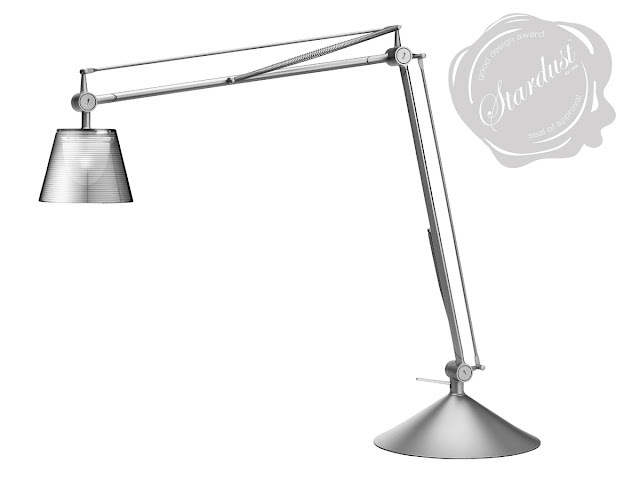 We've sold quite a few of these lamps and every customer tends to be very satisfied with this lamp.